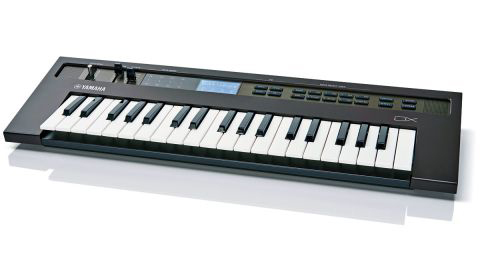 Great value Yamaha Reface-DX with full manufacture warranty, good condition with some light marks on the top panel/ keys that do not affect the operation of the product, original box, manuals and power supply. A fantastic product for the money. The reface DX brings back the wonderful sounds of yesteryear with FM synthesis from the likes of the classic DX range. FM Synthesis used to be a complete minefield of complexity but this is where the Reface DX changes things with touch sensitive screens and easy to use menu system for creating amazing sounds. The Reface&apos;s compact size makes it the most incredible portable product to play with and it even has speakers so you can play anywhere you wish to. It is even possible to connect to apps fir sharing and loading new sounds such as ths soundmondo software. If you want a really huge vintage FM sound with true sound flexibility in a compact instrument then look no further.